This post has been written by a guest, Peter Harrison. He issued the first Elvis Presley Challenge which was ‘Violence in American society’. I appreciate very much this contribution to the blog and also his thoughtful remarks about the book Treat Me Nice. I will be back next week. 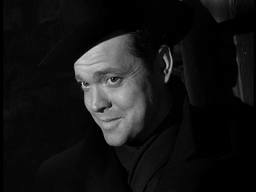 Pop culture references to the Renaissance are relatively few but the dialogue by Orson Welles in “The Third Man” is famous. How does Elvis fit into this? Is it possible to draw a parallel between Elvis and the Italian Renaissance? In the “Failure to Nurture the Memory” section of the book “Treat Me Nice” Howard Jackson describes the changing music scene inAmericaduring the 1960’s. He writes about how the music of the American South might be compared to a regional cuisine with the ‘chefs’ – the musicians and singers – putting together recipes to entertain the people, often working class people for whom this was their main form of entertainment. This was the world that Elvis came from. He entertained. He sang some songs that he liked, and others that those who listened to him liked to hear – or that were demanded of him by his manager. He was not an ‘artist’ in the sense of someone who self-consciously created art. Despite this, Elvis was clearly a man with a strong sense of his own ability. Although he appears rooted in this community (hence his claim to know every gospel song ever recorded) there is much in his music that is personal to him. Elvis played a significant role in breaking open this community using the music of the American south – the music of his childhood – to build something for an emerging youth movement freeing itself from post-war austerity. To understand Elvis’ unique contribution to this moment, compare his version of “That’s Alright” to that of Arthur ‘Big Boy’ Crudup, one of his early heroes. Jackson states that the 1960’s saw the rise of the singer-songwriter and a different and more ‘intellectual’ approach to music. This continued the work of creating music for the youth movement which Elvis had begun, but now in a more self-conscious way. The later musicians were more aware of the process of creation and were keen to demonstrate their ‘difference’. In short, they began to take themselves seriously as artists. Critics (and to some extent fans) came to expect artists to be ‘authentic’. Not simply to make music and entertain, but to be true to themselves or some specific poetic muse. This led directly to criticism of Elvis for being simply an uncouth entertainer, not a true artist, someone who merely entertained people with music (although that strikes me as a fairly strange criticism to make of a singer). If this thesis is accepted, a parallel can be drawn to the Italian Renaissance. During the Renaissance, a similar cult of the artist grew up. 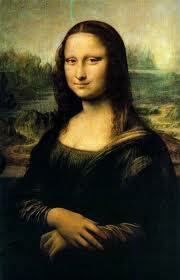 Art became desired on the basis of the artist who created it. Artists became well known and began creating art which served their own personal muse often in addition to, but sometimes in opposition to the desire to create something aesthetically pleasing. This is a trend which remains with us to this day in our attitude to art. Art is something which is created by self-conscious ‘artists’ and can be seen in the attitude of modern artists such as Tracy Emin and Damien Hirst. Their work reveals no intrinsic desire to please a wide audience. It is delivered purely to satisfy themselves and their inspiration. It is art because it is produced by an artist rather than because it meets any particular aesthetic standard. We are discouraged from judging whether it is actually any good. This approach, which lauds the individual artist pursuing their own internal muse, can be contrasted with the artistic world before the Renaissance, particularly that in the medieval East Roman empire centred on Constantinople and known today as ‘Byzantine’. There is virtuosity in the art ofByzantium, and work that embodies a strong aesthetic, in other words there are artists. Yet we know the names of almost none of them, and almost no work is signed. 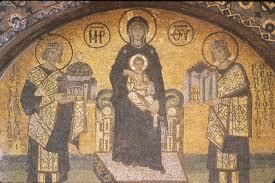 The Byzantines valued art which met public expectations, and displayed virtuosity in doing so. Surviving descriptions of artworks by Byzantine writers stress the quality of the workmanship and how aesthetically pleasing it is, but very rarely mention the name of the person who created it. Their critical approach emphasises the artist as part of their community, someone who displays their talent in pleasing (entertaining) the public within an understood artistic framework. Change, sometimes radical change, existed in Byzantine art. Indeed, it is possible that the shift to a more humanistic style helped spark the Italian Renaissance. The two certainly fed from each other. A community approach does not imply necessarily conservatism in style. 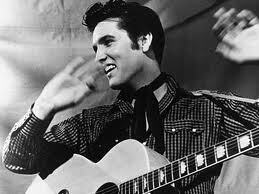 Elvis did much to break the pre-existing popular music framework apart. He brought something very personal to his music, but he also remained bound to his community. He wanted to show that he “don’t sing like nobody”. He demonstrated this by singing an Arthur ‘Big Boy’ Crudup song, but in a way that broke the mould. He remained part of the musical community of the American south, despite his revolutionary talent. How does this link back to the quote from “The Third Man”? Despite being rooted in his community, Elvis was a very talented invididual who ushered in radical change. After him, things could not return to the world of cuckoo clocks. Those who followed had to maintain the sense of rebellion and radicalism. They had to demonstrate they were continuing the revolution – and yet lacking his talent had to find other aspects to emphasize. They were obliged to stress their special authenticity. This development is described in Treat Me Nice. So, we can learn from comparing Elvis, the Renaissance and Byzantine art. In particular, we need to consider whether something is actually any good before deciding it is great art. This is something that I’ve been struggling to express and am humbled by the elegant and logical manner in which it is explained why Elvis continues to not be considered an artist. When interviewed and asked about his aspirations, it was always to make a middle class life for his parents, then it was about making people happier and lightening their day for the duration of a song, a movie or a concert. No message, just straight entertainment. As the man said himself prior to being the first world wide broadcast of a one man entertainment program in 1973. Perhaps, this is why it could only be Elvis – because being made happy and entertained for just a short time, is the only thing we complex and diverse humans can agree to. It’s on my Giftmas list – I’ve really enjoyed Howard’s blog – and I blog about Elvis on my blog as well. So I’ve been promoting it on three Elvis forums that I go to. Sadly, most fans just want to quibble and collect – not discuss and debate. Tried to make contact but the email failed. Send me one on the buy treat me nice page and I will reply.